Norland Derby 2 Room Log Cabin: The Norland Derby log cabin is a multi-functional building that has two rooms. The building features a main room which has access in via the double doors and includes 2 single windows. The second much smaller storage type room has no access from the outside but can be access through a single internal door, there is 1 window in this room to provide light and ventilation. This garden room can be used for a variety of different purposes, the small side room can be used as a utility space or cloakroom / storage area and the main room is large enough for office furniture or a bed or sofa set. This log cabin has 40mm thick wall logs and is fully double glazed. The windows are inward opening so allow for ventilation but providing added security. 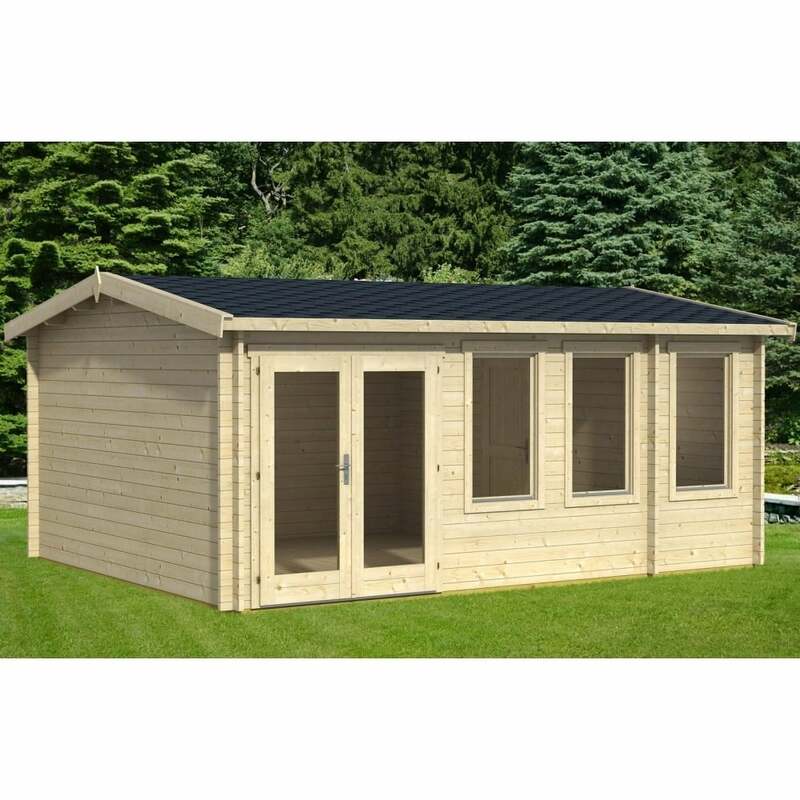 This generously sized garden office style building comes with fully assembly instructions and plans included and there are no screws or nails required in the construction of the walls due to the interlocking wall log design. If you are looking to create a retreat in the garden away from the main house with a ridge height that is less than 2.5m then this is the perfect building for you.